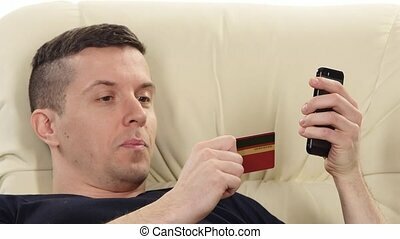 A man with reindeer headband lying on a sofa at christmas time, sleeping. 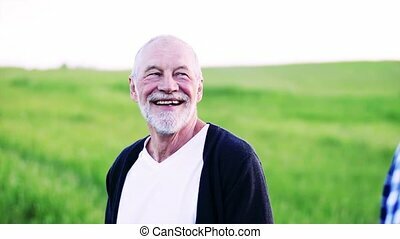 A mature man with reindeer headband lying on a sofa at christmas time, sleeping. A Man With Reindeer Headband Lying On A Sofa At Christmas Time, Sleeping. A mature man with reindeer headband lying on a sofa at Christmas time, sleeping. 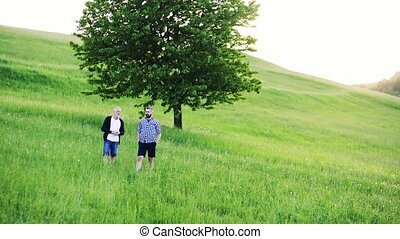 Young couple at home with their pet dog at Christmas Time. They are watching a movie and drinking glasses of champagne. 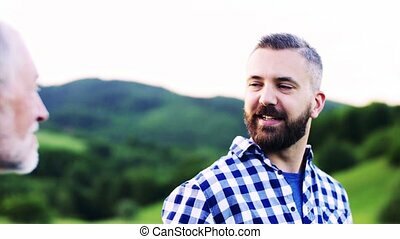 Father at home with his children. 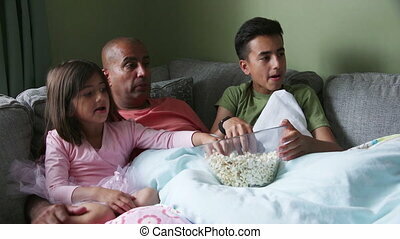 They are curled up on the sofa watching a film with a bowl of popcorn. 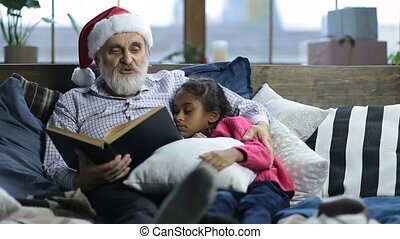 Caring grandfather with grey beard and in santa hat reading a book to his sleepy cute mixed race granddaugther as they lie in bed on christmas eve. 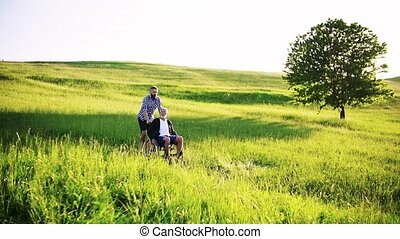 Affectionate grandpa cuddling his adorable girl while reading bedtime story at home on Xmas. 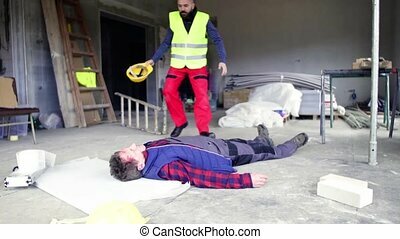 Accident of a male worker at the construction site. 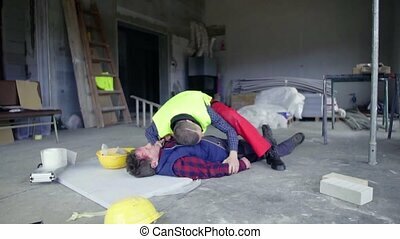 A man helping his colleague lying unconscious on the floor. 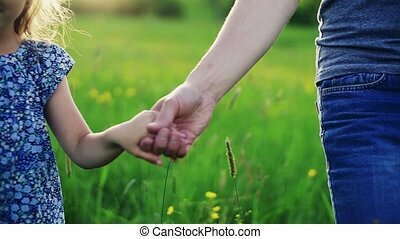 Unrecognizable father with a small daughter on a walk in spring nature at sunset. Slow motion. 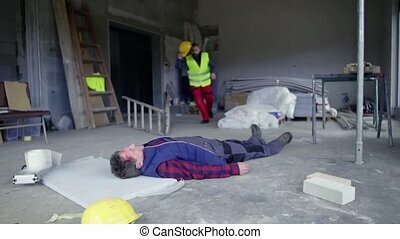 Accident of a male worker at the construction site. 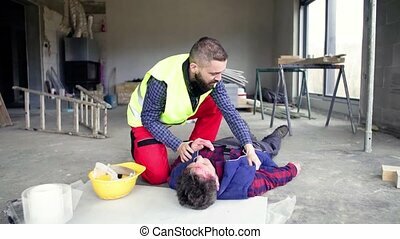 A man helping his colleague lying unconscious on the floor. Slow motion. 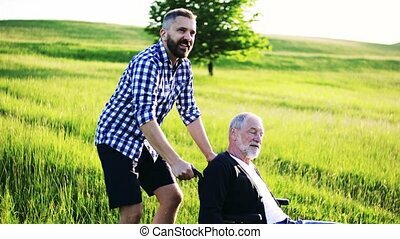 An adult hipster son with his senior father on a walk in nature, talking. 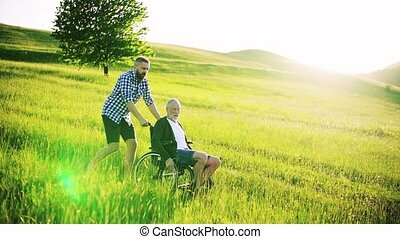 An adult hipster son on a walk with his unrecognizable senior father in nature, talking. 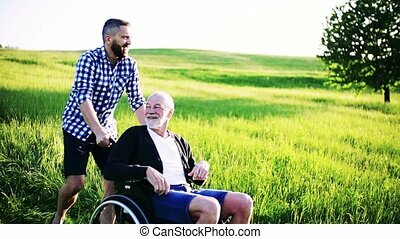 A laughing senior father on a walk with his adult hipster son in nature, talking. 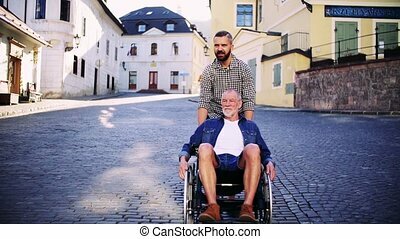 An adult hipster son with his senior father in wheelchair on a walk in small town. Slow motion. 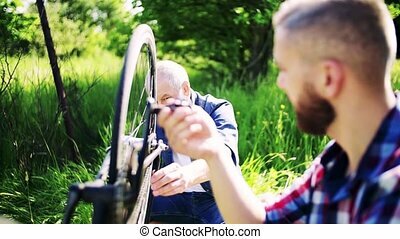 A senior father repairing bicycle with his adult hipster son outside on a sunny day, talking. Slow motion.